I know there was a bit of a delay in getting the fishing forecast up today, but I was up at 5am this morning chasing Bass and I have only just got back at 1pm. 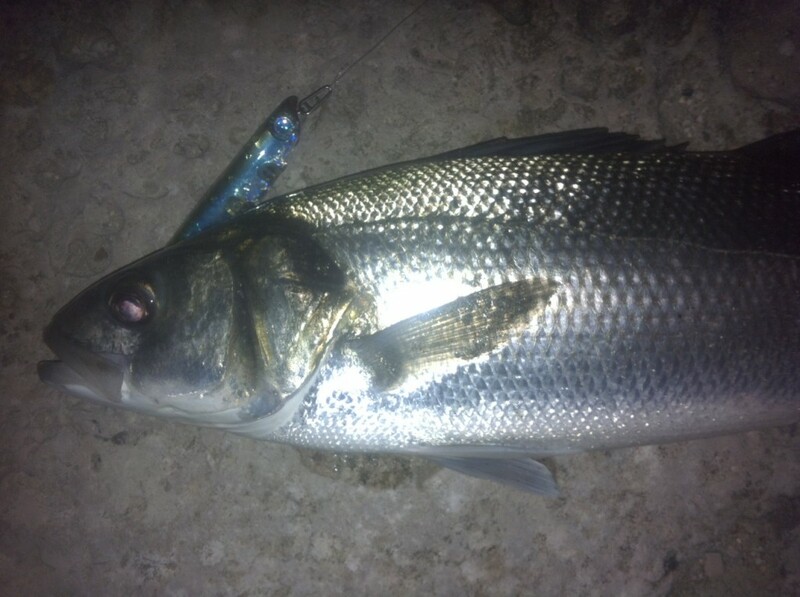 It was a bit quiet and I would not normally have bothered getting up at that time for fishing over low water, but my friend was down from London and he wanted to have a last session before retuning home.He managed 7 Bass over 2 nights on lures. The best was ast night with one being around 3 1/2lb. I had a Bass follow my soft plastic Slug-go to right under my feet. I watched as I let the lure drop down the face of a large boulder and the Bass darted down to chase it. I felt a fish pick it up, so I waited for a few seconds and than lifted into a fish. The Bass shot of to my right but the hooked fish headed left, leavng me feeling utterly confused. It took ma a couple of seconds to realise I had hooked a different fish. This turned out to be a Wrasse around 4lb. 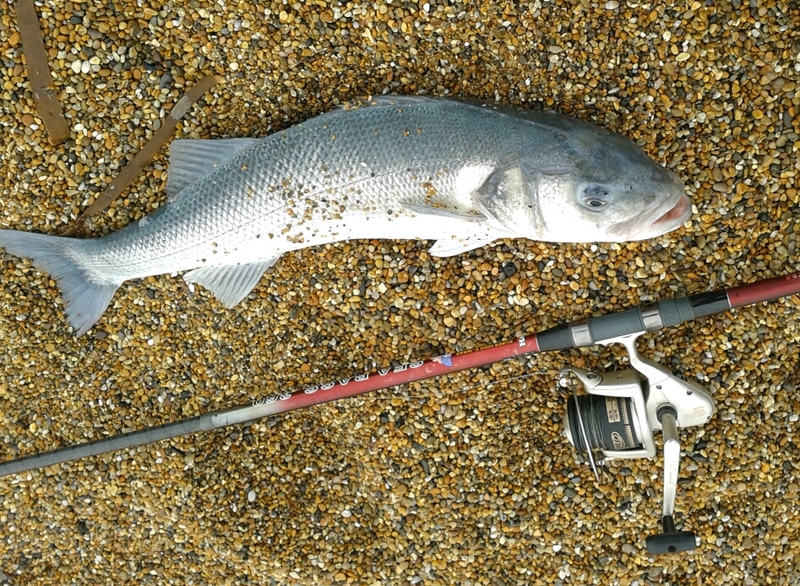 Not a bad Bass for my mate, but not a patch on the one that Mark Parfitt landed whilst he was on holiday locally at Freshwater Bay, neer Burton Bradstock. He used a full Calamari Squid in the surf to land a 12 1/2lb beast that almost ripped the rod from his hand. 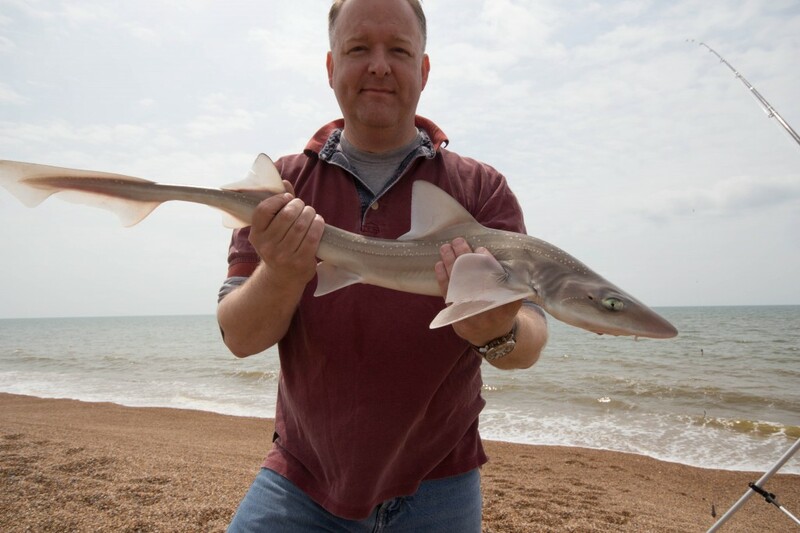 He also managed to catch plenty of Dogfish and some small Smoothound. Following on from the my success guiding on Wednesday, it was my River Cottage Shoreline course yesterday on Chesil. Everyone had a great day with some fantastic food from the River Cottage chefs. The highlight for me was to see plenty of fish being caught. We managed some nice Bass, with a large one lost in the surf. 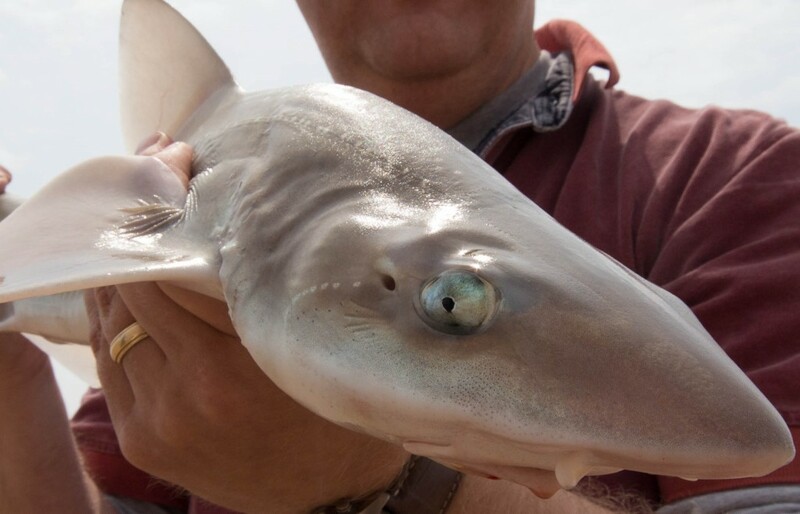 Other species we managed to caught include Dabs, Smoothound and Pollock. The May water is back again I am afraid and this killed the Mackerel fishing. I did not see any one catch any Mackerel along the section of the beach that we were on. 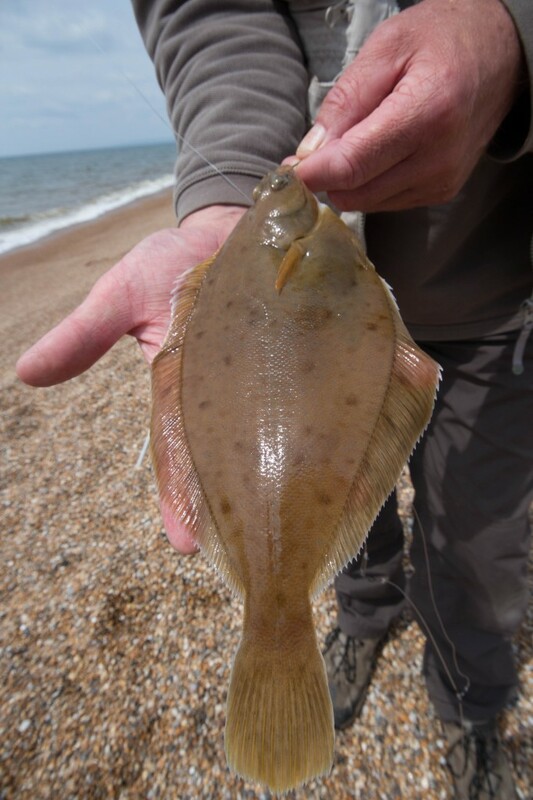 Many thanks for such a fantastic day yesterday on the south coast, I had an amazing time and have certainly got the bug for fishing.